Brother carries a Bigface item in DDP. 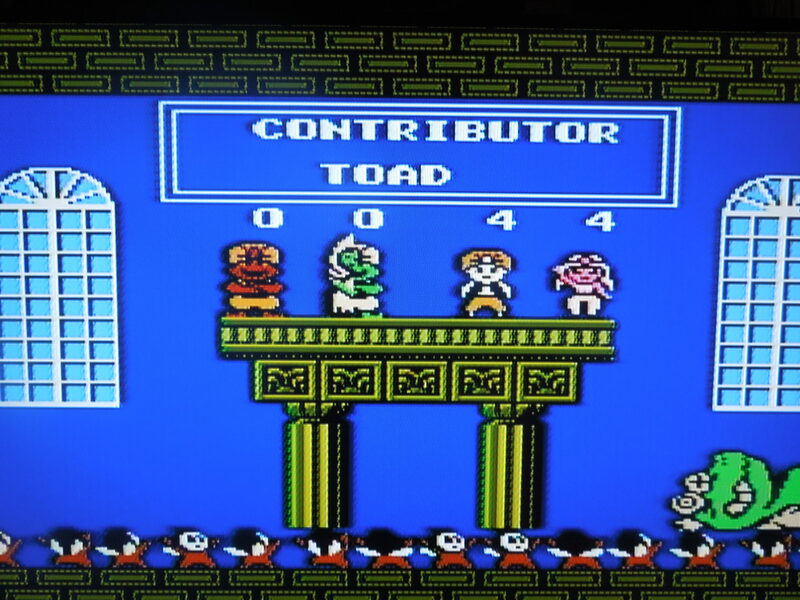 In SMB2, Brother was changed to Toad and the controversial Bigface became a turtle shell. Note 1: Like platforming/action games? Check out my reviews of Kid Dracula, I’m Kid Dracula, Splatterhouse, and Super Back to the Future, Part II! Quick History: Yume Kōjō: Doki Doki Panic was originally a disk game released for the Famicom Disk System, a console that was exclusive to Japan. The game came out in 1987. In 1988, Doki Doki Panic was modified and released in the U.S. as Super Mario Bros. 2, which is a well-known American game today. While the gameplay in Super Mario Bros. 2 was essentially the same as Doki Doki Panic, the characters, the story, the game’s title, and some of the items in the game were altered for the U.S. release. Many U.S. gamers were initially confused as to why Super Mario Bros. 2 looked and played so much differently than the original Super Mario Bros., and this was the reason – because it wasn’t originally a ‘Mario’ game at all! 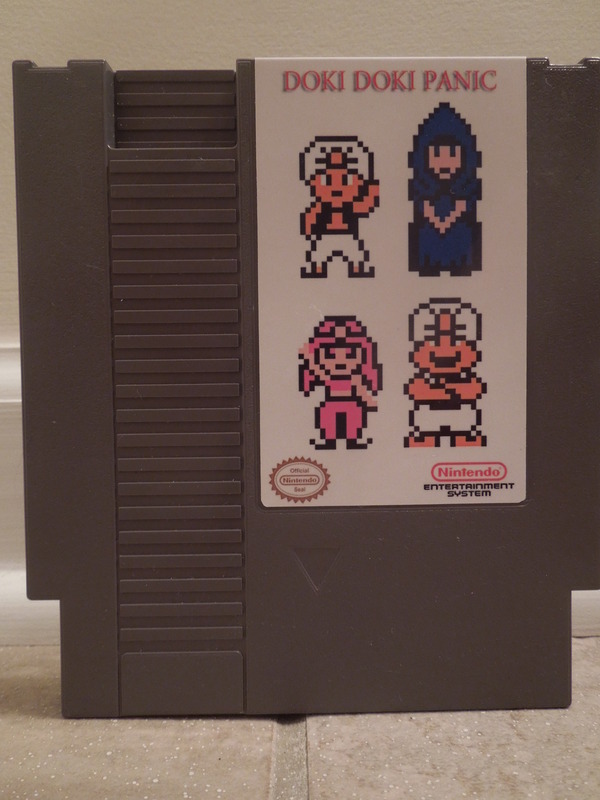 The version reviewed here is a fan modification of Super Mario Bros. 2 that removes the Mario characters and some other ‘U.S.’ added items and replaces them with their original characters, item incarnations, and story from Doki Doki Panic. This game is not exactly the same as the original Famicom Disk System release, as it keeps many elements from Super Mario Bros. 2. (like the ability to dash) that were not in the original release. The primary changes in this version are simply the characters and items. 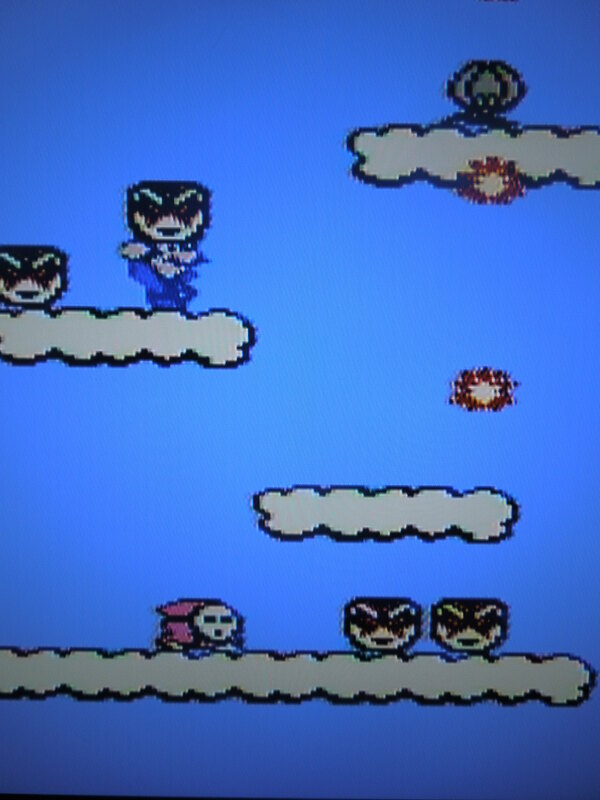 This game is basically like playing the U.S. Super Mario Bros. 2 with Doki Doki Panic characters and items. Story: This NES Doki Doki Panic mod basically keeps the story from the original FDS release. Two young children, Joe and Bob, are reading a story book when the hand of the evil Wart reaches out and grabs them, pulling them into the story. A family, consisting of Papa, Mama, Brother, and Sister jump in after the children in order to rescue them. Sister carries a magic lamp in Doki Doki Panic. 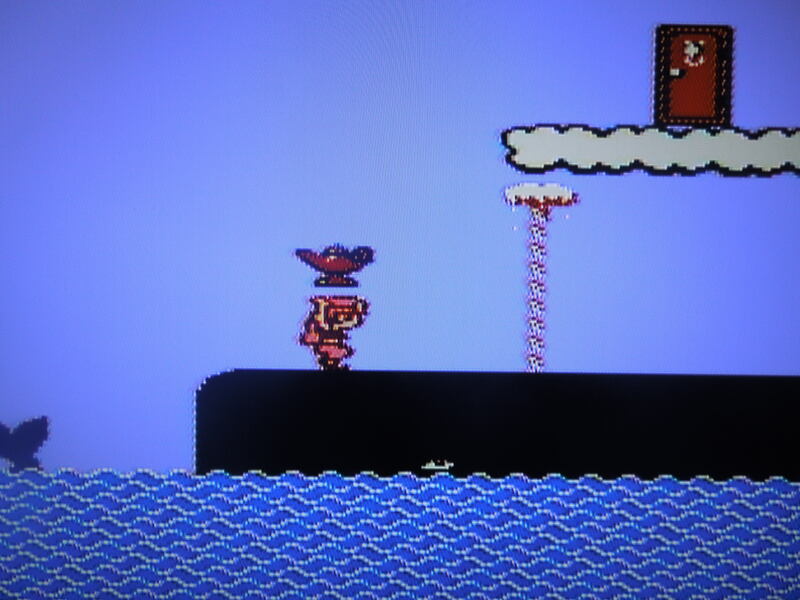 Sister became Princess Peach and the lamp a potion in Super Mario Bros. 2. Controls: B makes you run if you hold it down. Pressing B while on top of some enemies, face blocks, or vegetables causes you to pull them up. Pressing B while holding something causes you to throw it. A makes you jump. Holding down makes you duck, and after a few seconds, your character will turn white, and you can then press A to execute a super jump. 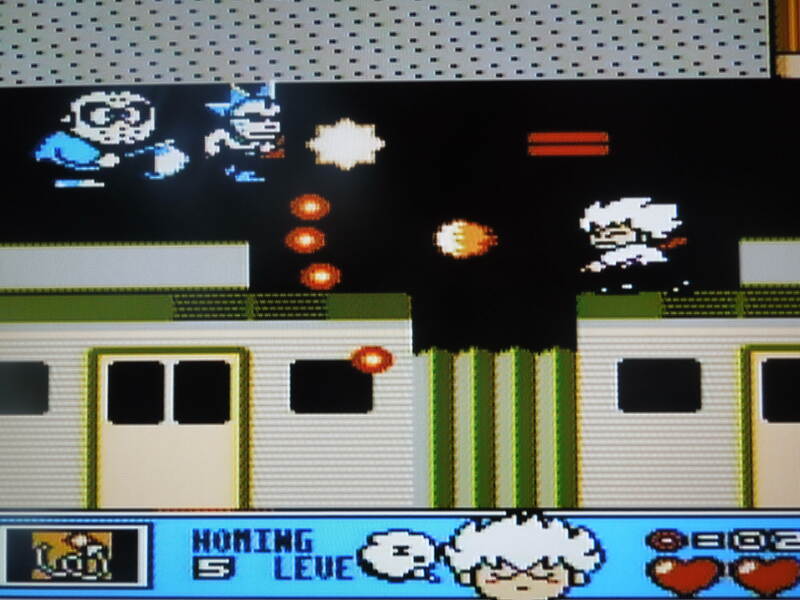 Gameplay: You must travel through 7 levels, each with 3 stages (except for level 7, which has 2 stages), to rescue Rick and Bob from Wart. At the beginning of each stage, you can select between Papa (changed to Mario for the U.S. game), Mama (later changed to Luigi), Brother (later changed to Toad), and Sister (later changed to Princess Peach). At the beginning of each stage, you are allowed to change which character you want to play as. Each of the 4 family members controls differently: Papa is balanced with an average jump and average speed of picking up items; Mama jumps the highest, but is the slowest at picking up items; Brother has the lowest jump but picks up items the fastest; Sister has the 2nd highest jump (and the ability to kind of ‘hover’), but has below-average speed picking up objects. 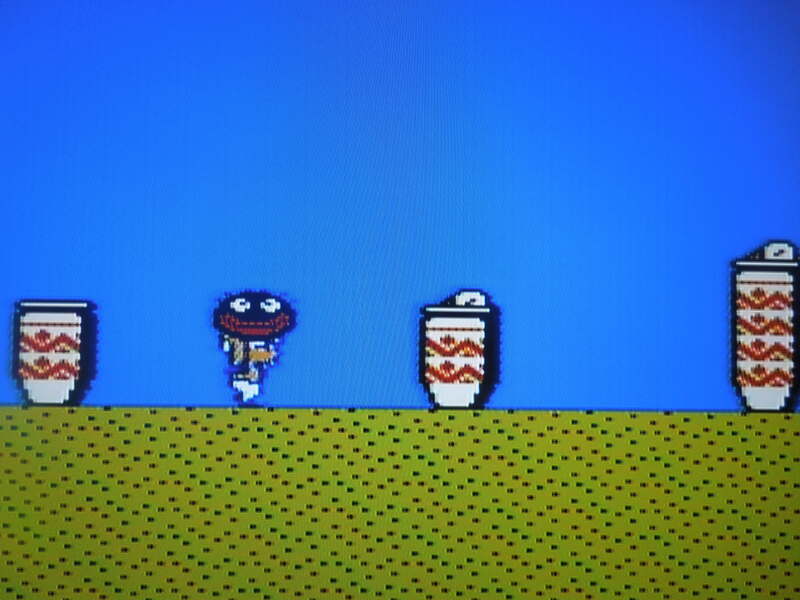 During each level, you can find magic lamps (later changed to magic potions in the U.S.) that allow your character to temporarily enter Sub-Space in order to collect Heart power-ups (later changed to Mushrooms in the U.S.) or coins to use in bonus games for extra lives between levels. You’ll frequently face mini-bosses at the end of most stages. So, where can I find this game? You can find the rom online (again,this is not the original Doki Doki Panic FDS game, but a mod that puts those characters into Super Mario Bros. 2 the way they were supposed to be) for play on a computer emulator. The rom can be put onto an NES cartridge, and there are many NES reproduction websites on the Internet that can create a cartridge for you, which is the best way to play the game. Game glitch: If Mama is little and picks up an object, she turns into a blue Luigi. Interesting quirks: Brother and Sister don’t have a ‘little’ mode when they get to only 1 bar of health left – they’re always little. Mama, when little, becomes Luigi when ducking, climbing, or holding an item/enemy – albeit a blue Luigi. List of major changes in this version of Doki Doki Panic: Mario was changed back to Papa. Luigi was changed back to Mama. Toad was changed back to Brother. Princess was changed back to Sister. Red turtle shells were changed back to Bigfaces. Magic potions were changed back to Magic lamps. Exit Hawk Faces were changed back to Exit Mask faces. Mushroom Blocks were changed back to assorted face blocks. Phantos (those things that chase you when you pick up a key) look like they originally did – not as evil as they do in SMB2. Ending: The ending of the game is still the Super Mario Bros. 2 ending. When Wart is carried out at the end of the game, however, the 4 Doki Doki Panic characters are present instead of the 4 Mario characters, but the Mario ‘dream’ sequence still plays. Why such a short review? Chances are if you are a gaming enthusiast, you’ve probably played Super Mario Bros. 2, and because Doki Doki Panic basically is SMB2, I don’t think much more need be written. Conclusion: Doki Doki Panic is a fun game, and it’s easy to see why this was the game that was chosen to create Super Mario Bros. 2 by changing the characters. It has a decent amount of challenge, but with the ability to find ‘secret warps’ in particular stages, it won’t take you too long to beat. It’s interesting to play the game with its original characters. The ending of the game has the Doki Doki Panic characters (somewhat glitchy), but it is still the ‘Mario’ ending. This entry was posted in NES - Doki Doki Panic and tagged Doki Doki Panic Review (NES). Bookmark the permalink.